It’s our brand new book-a-month club, kicking off in September! You’ve come to rely on us to steer you toward good new fiction. We work hard to keep up with what’s being published, and to make sure we stock our store with books we know our customers will enjoy. If you’ve taken, or even heard about, Lynn’s “Hot Off the Press” class, you know she has a particular affection for contemporary literary fiction, and she voraciously reads lots of new books in order to select for you the ones she thinks are worth reading and recommending. 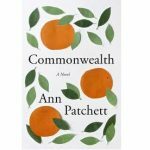 The September feature is Commonwealth, the brand new novel by Ann Patchett. The book tells the enthralling story of how an unexpected romantic encounter irrevocably changes two families’ lives. Spanning five decades, Commonwealth explores how this chance encounter reverberates through the lives of the four parents and six children involved. Following on the heels of his New York Times bestselling novel Telegraph Avenue, Pulitzer Prize-winning author Michael Chabon delivers another literary masterpiece: a novel of truth and lies, family legends, and existential adventure—and the forces that work to destroy us. 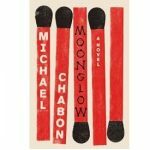 The story is speculative fiction inspired by recollections Chabon’s grandfather shared with him on his deathbed about Chabon Scientific, Co., a mail-order novelty company. New announcements coming soon for the next books! You may sign up for the Open Book Signed First Editions Club by selecting either a three-month, a six-month, or a one-year membership. Charges are outlined below.  Open Book Signed First Editions Club will provide you with a well-written work of literary fiction each month for your reading pleasure. 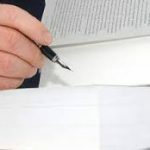 Over the past eight years, Lynn has built a reputation for discovering new writers and for evaluating good quality fiction.